There are hundreds of different types of premises liability causes of action in Rhode Island and Massachusetts ranging from a slip and fall on a slippery surface to negligent security. In general, premises liability is a term referring to an accident which occurs on real property owned by a person or entity. The liable entity could be a trust, partnership, limited liability corporation (llc), Corporation or a government entity. If you were injured as a result of the negligence of another in a premises liability accident then it is important that you quickly retain a personal injury attorney in RI. Slip and fall lawyers in Rhode Island will be able to advise you whether you have a viable negligence claim against the alleged at fault tortfeasor. What responsibility in general do owners and/or possessors owe to visitors and customers on real estate in Rhode Island? A homeowner should get a homeowner insurance policy covering liability to third parties for accidents causing injury or death. Owners and possessors of real property must act reasonably to prevent injuries and fatalities on their land. What is the statute of limitations for a slip and fall in Rhode Island? Are owners and possessors of real property guarantors of the safety of invitees and guests? What liability concerns do a commercial owner / landlord have to the guests and invitees of its tenant? What Liability do owners of real estate owe to trespassers? What liability do businesses and commercial establishments have to clear snow and ice to protect guests from injury on their property? If you were seriously injured in a premises liability mishap then it is crucial that you retain a Rhode Island Personal injury attorney. http://www.slepkowlaw.com/personal.htm. 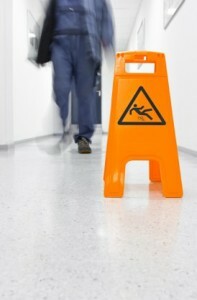 A RI Slip and Fall Lawyer will be able to analyze the relevant facts and determine a course of action going forward. There are hundreds of different types of premises liability causes of action including inadequate maintenance, defective or unreasonably dangerous escalators, dog bite and dog attack, Inadequate lighting causing falls, construction accidents, fatal accidents, negligent security, Amusement park accidents, Sidewalk falls and asbestos litigation.